Everyone wants the best for their children or grandchildren. In the current economic climate, financial concerns are becoming particularly acute – and many people are looking for ways to ensure that young people have the best possible head start when they begin their adult lives. The abolition of the Child Trust Fund was a major blow to those looking for a tax efficient way of saving for their child’s future. It was amongst the most popular means by which people put money aside for their kids – not least because of the government donation. But the Child Trust Fund (CTF) is not the only way to save. While the number of tax-efficient savings methods is not particularly large, there are still options available to those who want to put cash away – and keep it out of the hands of the taxman. 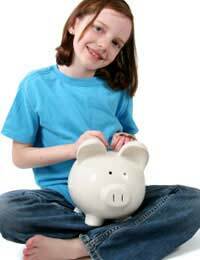 The Child Trust Fund was a tax-efficient savings account designed to encourage people to save on a child’s behalf. It was available to children born on or after 1 September 2002, and for whom Child Benefit was being paid. The major advantage of the CTF was that the government offered a cash ‘voucher’ to start the account. The coalition scrapped this voucher, effectively putting an end to the CTF scheme. It is important to understand that it may still be possible to open a CTF. If your child was born between 1 September 2002 and 2 January 2011, and you received at least one day's Child Benefit on its behalf before 4 January 2011, you may still be able to open an account. For those born after this date, you should consider alternative, tax-efficient savings methods. Immediately after it was announced that the CTF was to be scrapped, the government came under pressure to expand the ISA scheme to children. The ISA, or Individual Savings Account, is amongst the most popular ways of saving in the UK. It is tax-free up to a certain amount, and ISAs are designed to be easy to access. The Junior ISA will be launched on 1 November. There will be a total tax-free limit of £3,600 per tax year – more generous than the £3,000 originally suggested. Junior ISAs are split into two types: cash, and stock and shares. Provided that the total amount does not exceed the tax-free limit, the saver will be allowed to split the money between the accounts as they see fit. Junior ISAs will be available until the child reaches 18, at which point they will automatically be converted into conventional ISAs. On their launch the accounts will be available to children born before 1 September 2002, or from 2011 onwards – around six million children in total. Children’s Bonus Bonds are another means by which you can save for your child, without incurring tax. Just like a Junior ISA, Children’s Bonus Bonds allow you to put money away in your child’s name. The Children’s Bonus Bond scheme is operated by the government-backed National Savings & Investments, meaning that they are amongst the safest options for your child’s money. You can invest up to £3,000 per child per bond issue, and the bonds have five year fixed terms. Bonds can be bought for anyone under the age of 16 – meaning that in practice, provided the bond wasn’t cashed in early, it could remain until the child reached the age of 21. It is worth noting that the interest rates on Children’s Bonus Bonds are not particularly attractive. At the time of writing a Children’s Bonus Bond paid an annual equivalent rate of 2.5 per cent – which includes the ‘bonus’ element that is only received if the bond is held for five years. The bond can be cashed at any time, but no interest will be paid if it is cashed within 12 months of issue. Although it may seem odd, it is becoming increasingly common for parents and grandparents to start thinking about pension arrangements for children. This is partly because pensions come with relatively generous tax breaks. You might consider opening a stakeholder pension for your child. Stakeholder pensions are designed to be flexible, and you can start with very low contributions. It is also possible to stop and restart contributions, or vary the amount. Contributions are tax free up to £3,600 for each tax year. Additionally stakeholder pension operators are legally obliged to keep the costs of management low. If you are in any doubt about your tax arrangements you should seek independent financial advice.